The commercial fishery industry for abalone in Australia is a multi million dollar business and it is Australia's 4th most valuable fishery product for export. Abalone is one of the most prized sea delicacies worldwide. Farming of abalone began in the late 1950's and early 1960's in Japan and China. Abalone is an important commercial fishery. Experimental aquaculture is being tested in Australia in Tasmania, South Australia and Victoria. The blacklip abalone (Haliotis rubra) forms the basis of the abalone fishery in NSW. Abalone are commercially harvested from rocky reefs by divers typically using surface-supplied air or scuba. In practice, most commercial abalone fishing takes place on the south coast of NSW, primarily from Jervis Bay to the Victorian border, with most abalone found close to the shore. Commercial fishing for abalone began in the early 1960s with annual catch rates of between 200 and 400 tonnes, peaking at 1,200 tonnes in 1971. However, by 1977 a combination of heavy fishing and bad storms caused catches to fall to around 300 tonnes. Concern about the state of the resource led a 1979 Parliamentary inquiry to recommend that the abalone and sea urchin fishery become a restricted entry fishery. This occurred in the following year when only 59 divers were granted access to the restricted fishery - down from more than 100 divers in 1979. The number of divers has been reduced progressively to address excessive fishing effort and increase viability. Individual catch quotas were introduced in 1989. A comprehensive Fishery Management Strategy has been prepared for the Abalone Fishery and was approved by the Minister in April 2007. Commercial fishing of the species in NSW is controlled through a quota management system. Australia’s major abalone producing states are Tasmania, Victoria and South Australia. New South Wales and Western Australia also produce abalone. The farming of greenlip abalone has been developing in South Australia since the early 1990’s and is now recognised as a significant contributor to the State’s aquaculture industry. The stimulus for continued growth of the industry is the highly lucrative Asian shellfish market. Output from South Australian farms is growing at a rate greater than 30% per year. In South Australia, commercial abalone farms currently operate near Port Lincoln and Streaky Bay on the Eyre Peninsula and on Kangaroo Island. There There are currently nine land-based abalone farms in South Australia and also one mobile abalone farming system is currently licensed to operate in South Australian waters. Abalone farming occurs at sea on artificial reefs or in cages suspended off the bottom and in land-based farms using tanks. Land-based systems are by far the most popular since they offer a greater degree of control over the growing process. Australia is currently at the leading edge of land-based abalone farming; having developed sophisticated hatchery, nursery and grow-out systems. Prices of $50 - 60 per kilogram are paid for 50 - 80 mm+ abalone from farms. In South Australia, the highly prized Greenlip abalone is exclusively produced. The product is sold mostly as a frozen whole in shell product. Some of it is canned. The abalone is harvested when it is in the size range of 80 - 95mm in length. In 2009–10, the volume of abalone production fell by 11 per cent, from 5612 tonnes in 2008–09 to 4981 tonnes, with decreases occurring in both wild-catch and aquaculture production. The value of abalone production also declined, by 8 per cent ($14.9 million) to $173.6 million. This comprised decreases in the production value of wild-caught and aquaculture abalone, by $7.3 million and $7.6 million, respectively. Most of the decrease in abalone production in 2009–10 occurred in Tasmania, which fell by 15 per cent in volume terms and accounted for 52 per cent of Australia’s total volume of abalone production. It is important to note that this decline in Australia’s total production volume and value could be partly because production volume and value of aquaculture abalone in Victoria were not reported due to confidentiality requirements. A large proportion of abalone is exported, mostly to Hong Kong, China and Japan. Therefore, exchange rate movements have a significant effect on abalone exports, which in turn affect domestic and export prices. From 2000–01 to 2009–10, following appreciation of the Australian dollar, abalone average unit prices fell by 44 per cent in real terms. As a result, the total value of production in real terms decreased by 51 per cent ($182.5 million) over the same period. The abalone industry contributes $120 million a year to the Australian economy, with aquaculture considered a reliable source of high-quality abalone. Abalone is Australia’s fourth most valuable fisheries export. The m ajor abalone producing countries include Australia, China, Taiwan, Japan, South Africa, Mexico, New Zealand, the USA and Chile. South Australia is considered an ideal location for continued development in farming abalone, as it offers suitable protected areas with accessible clean water and awell-established abalone industry association. 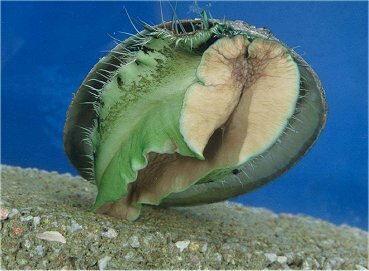 Abalone farming occurs at sea on artifical reefs or in cages suspended off the bottom and in land-based farms using tanks. Land-based systems are by far the most popular since they offer a greater degree of control over the growing process. Australia is currently at the leading edge of land-based abalone farming; having developed sophisticated hatchery, nursery and grow-out systems. Prices of $50 - 60 per kilogram are paid for 50 - 80 mm+ abalone from farms. Government of South Australia - Primary Industries and Regions SA - Aquaculture > Abalone - The culture of greenlip abalone (Haliotis laevigata) has been developing in South Australia since the early 1990’s and is now recognised as a significant contributor to the State’s aquaculture industry. The stimulus for continued growth of the industry is the highly lucrative Asian shellfish market. This page has information on production, abalone aquaculture disease prevention, markets and industry development. Marine Education Society of Australasia - Mariculture in South Australia - Farming Abalone. The International Abalone Society (IAS) is an international forum, intended to promote research on abalone; facilitate the distribution of information on abalone; promote cooperation between abalone researchers and members of the abalone industry; and to recognize the achievements of individuals and organizations by the award of IAS International awards.